IT-manager's Life (English): DUALphone RTX-3045 and the "Skype is not connected" problem? 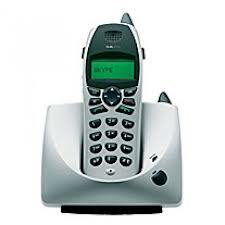 The Du@lphone RTX 3045 is a cordless phone for SKYPE able to work with a standard analog phone line. In fact it is a product that has a bit dated, but that can still be used if appropriately updated. To use the DUALphone in analog mode, simply connect the base of the telephone, to the phone jack with a telephone cable (RJ11). Instead, for use it with SKYPE you must connect the base via USB to a PC on which you must also install the DUALphone Suite software and the Skype software. Du@lphone RTX 3045 is now a product outdated and no longer in production so after you have installed the software, it is possible that DUALphone Suite software (eg version 2.08) is not sufficiently updated to work with the latest version of SKYPE (currently version 6.7). Usually appears the message "Skype is not connected" and the DualPhone does not work with Skype. However, I verified that the DUALphone Suite software version 2.39 instead works with Skype! You can find it here. It also rewrite your phone's firmware updating to version 0.151.